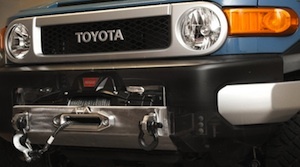 The lower grill insert is cut to an exact fit on the Toyota FJ Cruiser lower front grill. It is constructed of aluminum diamond plate, and bolted on with stainless bolts powder coated to match. Easy to apply, and completely reversible when you are ready to go back to stock for resale. $85 per pair (temporary price reduction), mounting bolts/washers/shipping included. 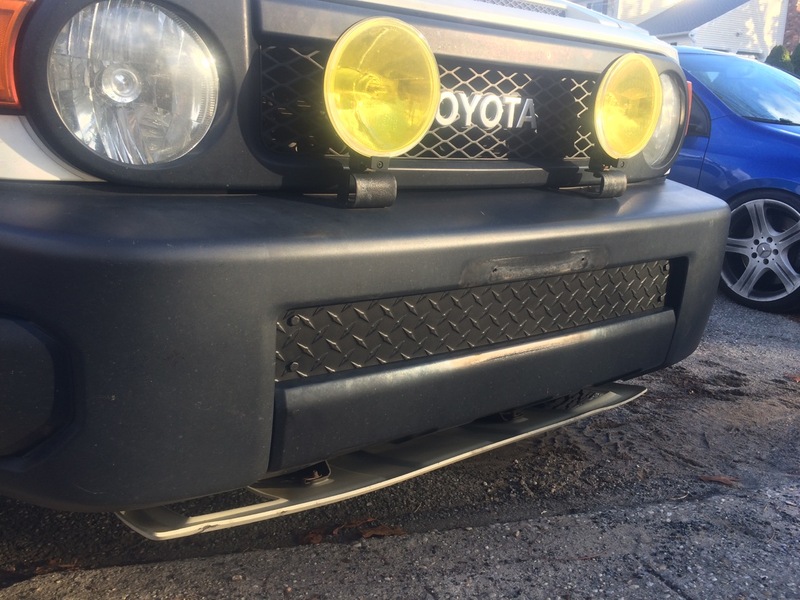 Available alone or as a combo package with a set of bumper wing eliminators. Price includes stainless mounting hardware and shipping. 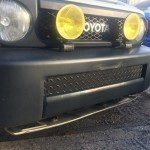 Bumper wing eliminators individually available here.